We pride ourselves on having manufactured uPVC sash windows for the double-glazing trade for over 30 years. Since 1985 we’ve been supplying our sash windows to installers and other fabricators. That’s hundreds of thousands of windows that have been used in every type of project, from single homes to major housing developments. The reason for our success can be summed up in two simple words: products and service. We manufacture three uPVC vertical sliders which – together – make up the Rose Collection. Between them, they’re designed to suit virtually any project and budget. So you can offer your customers the right sash window for their home. Competitively priced traditional looks with a host of modern benefits. 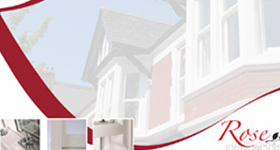 We have over 30 years of experience in manufacturing uPVC sash windows – more than any other company. In that time there’s not a lot we haven’t seen or done, and all that experience goes into the models in the Rose Collection. The result is that you can be confident you’re offering sash windows designed to sell well at good margins, install quickly with a minimum of fuss, and – most importantly – delight your customers. And because we’ve been doing this for so long we know that it’s the little things that help you out. Our windows have all the accreditations and certificates you need, so you don’t need to worry about any of that. They come with long guarantees on the profiles, hardware and glass; again, one thing less to worry about. They come to you pre-glazed, saving you space in your unit and on your vans. But they’re easy to de-sash for for fitting – it takes less time to de-and re-sash one of our windows than it does to glaze a standard casement window. And all of the extras – add-ons, sub-cills, keys etc – come packaged up for you. Easy to sell. Easy to fit. Easy to make your customers happy. Great products are key, but trade companies need great service as well. At Roseview we’ve got that covered. We understand that many trade installers don’t deal with vertical sliders day in, day out, so may not be as comfortable selling, ordering and installing them. But we’re here to help with all of that, with the Roseview Trade Promise. All this, backed up by more than 30 years experience, a stunning suite of uPVC sash windows and a new business team dedicated to helping new customers means that you can be confident Roseview is the right sash windows partner for your business. The following are some of our most popular downloads for trade customers. For a complete set of downloads and other resources, visit our Resources page. 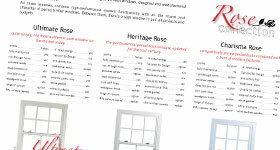 And while you’re at it, why not check out our sash window picture gallery. 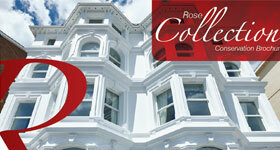 Want to sell sash windows? Contact us!